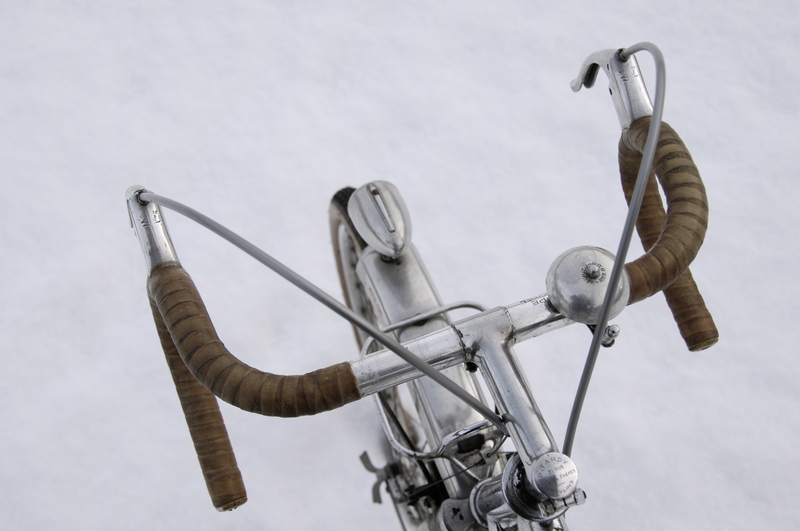 Vintage Bicycle blog is an information source about veteran, vintage and classic bicycles. It also showcases our bespoke leatherwork, primarily the making of new leather saddle covers for early bicycles. All photographs are copyright Tim Dawson except where otherwise stated, and permission is required for downloading and reproduction. I regret that I don’t have enough time to enter into correspondence about identification of bicycles or restoration problems. Sorry! Please note that I am NOT the Tim Dawson that writes for the Sunday Times, under the pseudonym of ‘cycle doc’. If you want to learn about repairing punctures, or how to deal with a sore arse, you won’t find that sort of thing on my blog.